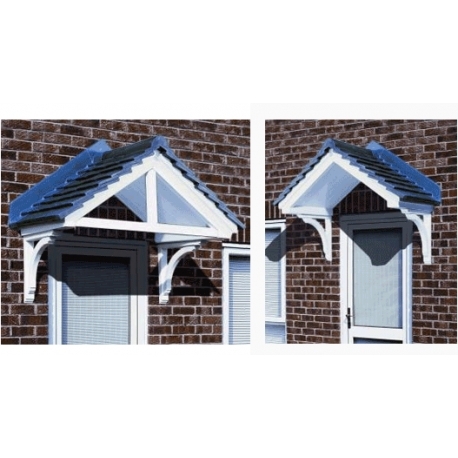 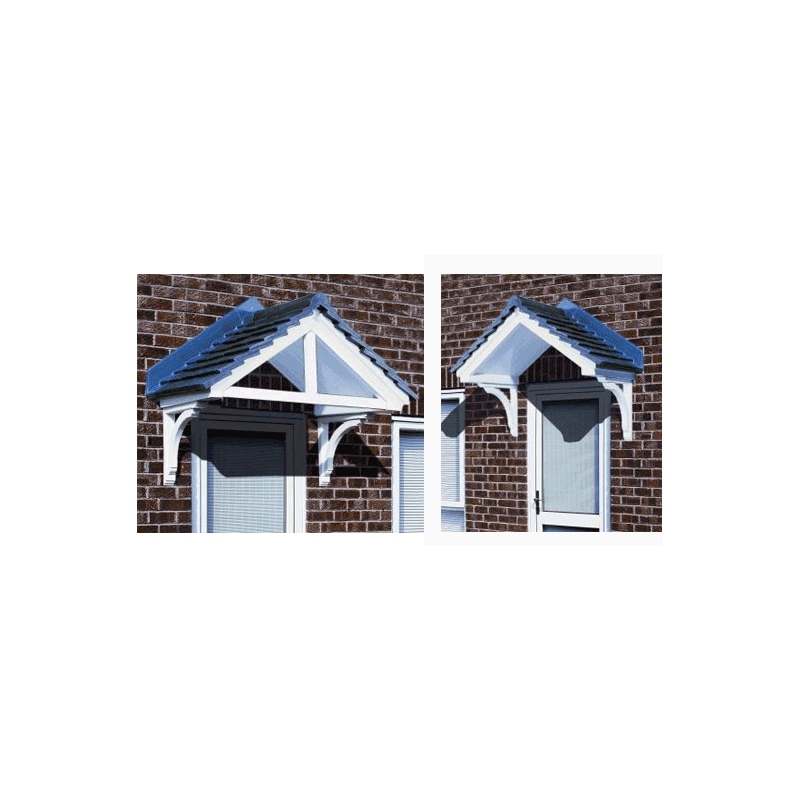 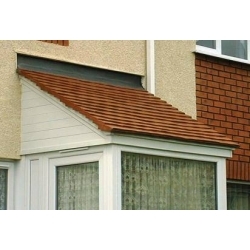 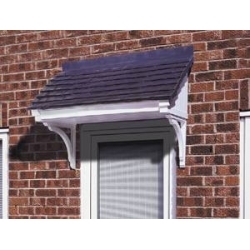 A dual pitch, tile effect canopy with imitation woodgrain detail. 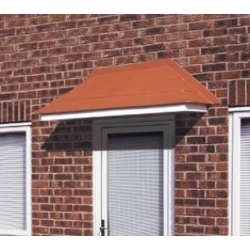 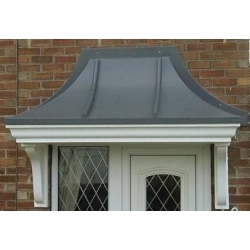 Available in a choice of terracotta or slate grey tile effect finish, with lead look flashing detail. 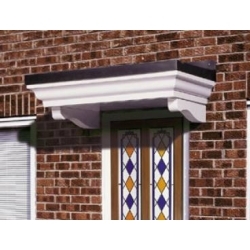 Simulated woodgrained detailed fascia & ceiling in white, brown, light oak or rosewood completes the effect. 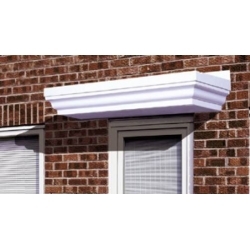 Designed for ease and speed of installation. 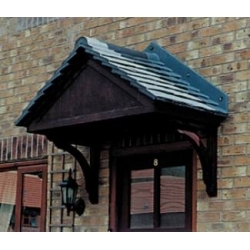 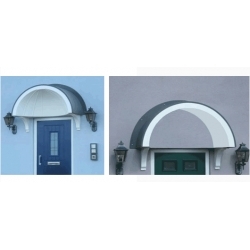 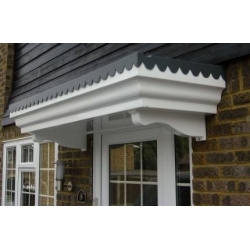 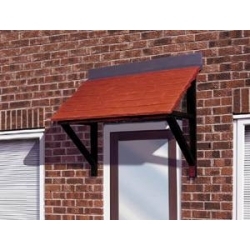 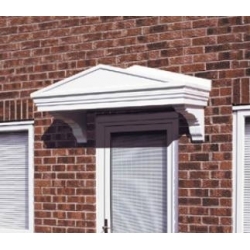 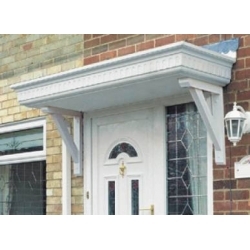 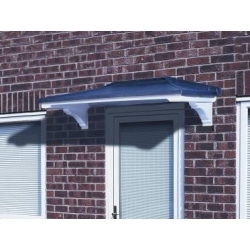 Manufactured in strong rigid GRP, this attractive overdoor canopy will enhance any entrance door, and requires only an occasional wash with warm soapy water to keep its good looks. 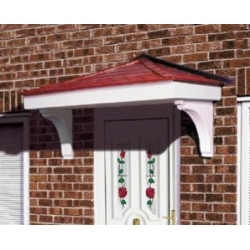 Available in either 730 or 880 projection, and with the option of a Fleur-de-Lys or T-Bar.